QUESTION: We are 2 couples and looking to stay is Telluride. What resort offers the best accommodations for our group? 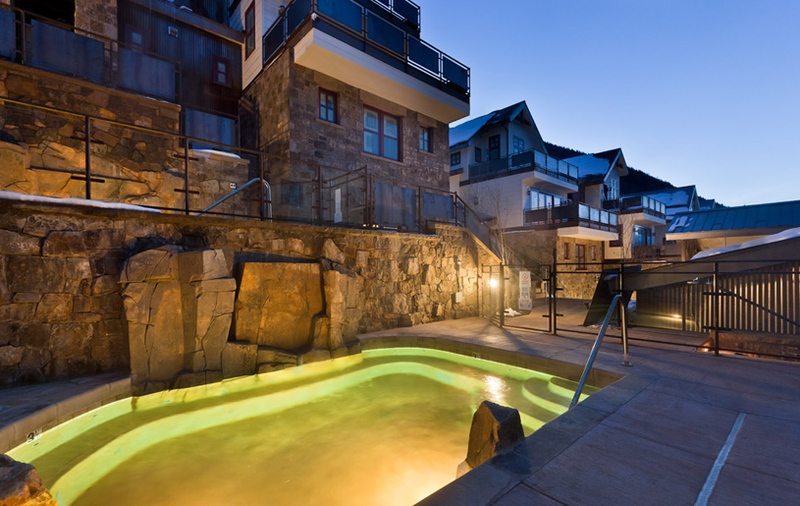 The Hotel Madeline Telluride, formerly Capella Telluride, is a luxury mountain resort hote with ever imaginable amenity to include a ski valet, world-class spa, pool and fitness center, two restaurants, wine bar, and ice rink. Hotel Madeline Telluride embodies a complete concept. Superb architecture. Lush interior design. Ultra-luxury amenities. Meticulous personalized service from a professional staff that is at your beck and call, night and day. Fully decorated and furnished hotel condominiums are offered, as well as two, three, and four bedroom residences. Designed for the individual who visits a few weeks a year and wants the ease and services of a hotel during their stay, including complete access to every hotel amenity (including daily maid service and nightly turn-down service), the private lobby, 24-hour concierge service, ski valets, the stunning indoor open-air pool, along with use of the spa, fitness, and business centers. 1 & 2 Bedroom Suites with Efficiency Kitchen – The atmosphere inside the condo-style suite feels slightly more contemporary. Stainless steel appliances dominate the neighboring warm wood and marble. The classy retreat has everything you need with an emphasis on the most popular room in the house, the kitchen. QUESTION: What are some family friendly resorts in Telluride, Co for a family of 4, children ages 8 and 11? The Hotel Madeline Telluride, formerly Capella Telluride, is a luxury mountain resort hote with every imaginable amenity, including a ski valet, world-class spa, pool and fitness center, two restaurants, wine bar, and ice rink. Hotel Madeline Telluride embodies a complete concept. Superb architecture. Lush interior design. Ultra-luxury amenities. Meticulous personalized service from a professional staff that is at your beck and call, night and day. Fully decorated and furnished hotel condominiums are offered, as well as two, three, and four bedroom residences. Designed for the individual who visits a few weeks a year and wants the ease and services of a hotel during their stay, including complete access to every hotel amenity (including daily maid service and nightly turn-down service), the private lobby, 24-hour concierge service, ski valets, the stunning indoor open-air pool, along with use of the spa, fitness, and business centers. 1 & 2 Bedroom Suites with Efficiency Kitchen – The atmosphere inside the condo-style suite feels slightly more contemporary. Stainless steel appliances dominate the neighboring warm wood and marble. The classy retreat has everything you need with an emphasis on the most popular room in the house. 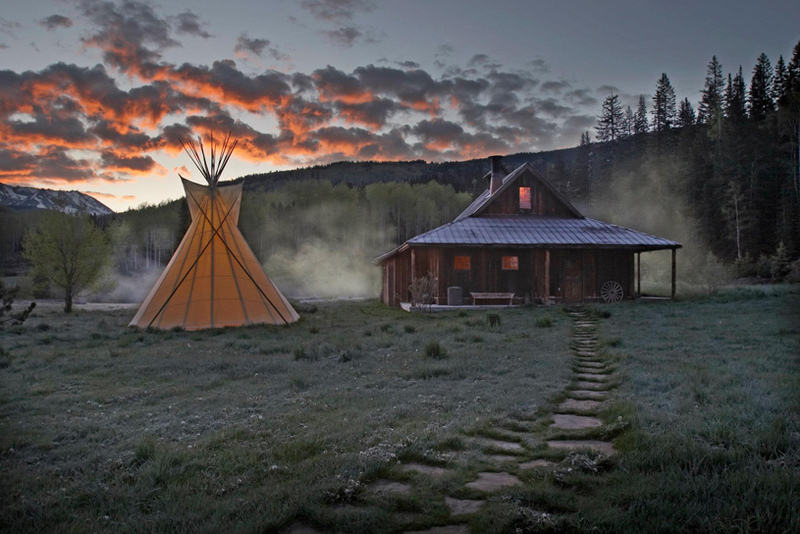 Dunton Hot Springs is now an perfectly restored ghost town turned luxury retreat. The history of the property stretches back to 1885, when the town of Dunton was established. Dunto was a mining camp, with mines located about 1/2 mile from the log structures that comprised the town. After a mining boom and bust, the town was nearly deserted by 1918. The property spent the next 80 or so years as a cattle ranch and then a dude ranch for tourists. It closed down in the mid-1990s, and was bought in 1994 and subsequently renovated. residences known as The Auberge Residences at Element 52.
the luxurious amenities at these private hideaways. 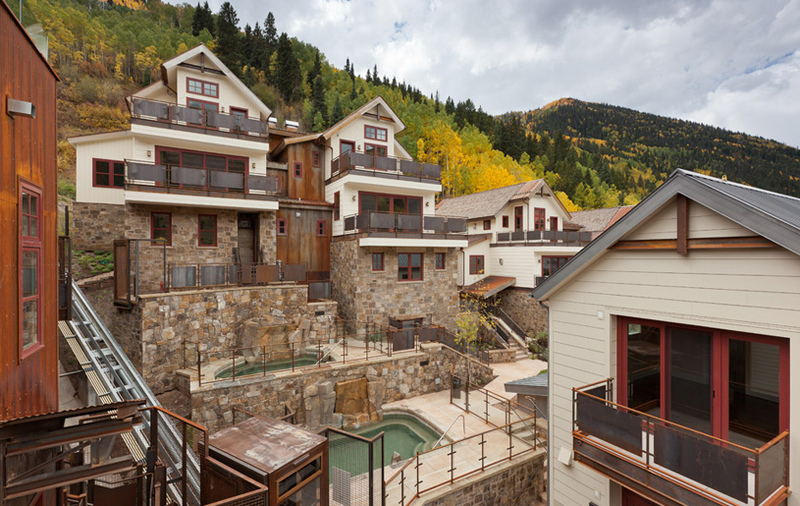 Two outdoor heated soaking pools, private funicular ski lift, and a separate fitness center and spa are just steps away. 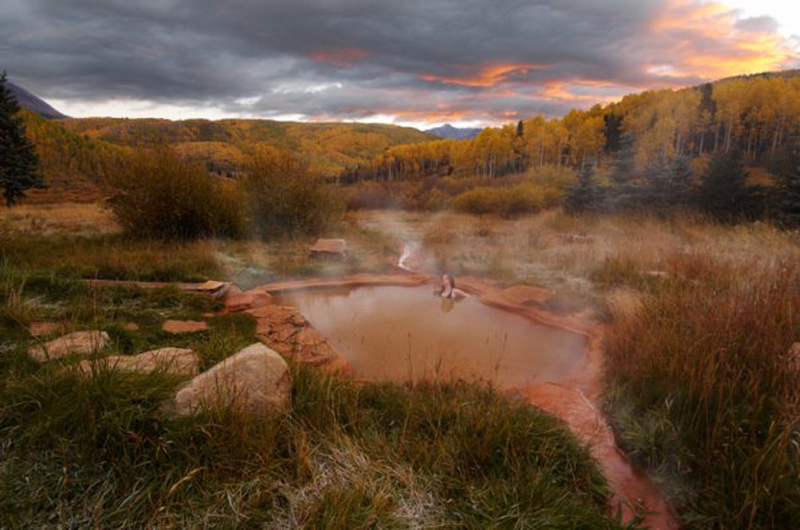 We've recently added Dunton Hot Springs to Five Star Alliance. This Colorado resort is one of the coolest spots we've ever seen. It's as if summer camp grew up and got luxurious. Are you tired of skiing/snowboarding down your town’s proclaimed black diamonds and looking for a real mountain this winter? Then explore our list of the best ski resorts and get ready for not only some of the most incredible slopes and breath-taking views, but also luxurious accommodations that will revitalize your adventurous spirit, leaving you ready to fly down the mountain and do it all again the next day! Consider checking into the Inn at Lost Creek in Telluride, Colorado, one of the most unique and personal luxury resorts. We truly believe that you’ve never stayed at a place this charming and genuine. The Inn at Lost Creek is located in the Mountain Village, and it provides access to some of the most beautiful mountains. This resort offers fully equipped suites and provides all the comforts of home such as a balcony, kitchen, fireplace, in-suite laundry, jetted tub, and steam shower. Aside from these comforts, guests have the opportunity to unwind and relax in two roof top hot tubs and indulge at the Inn’s Southwest inspired restaurant and bar. And with only 32 rooms, this small, luxurious hotel has some of the best folks on staff who are truly dedicated and delighted to ensure you have a magnificent stay. From finishing your laundy to pre-stocking your fridge with groceries, they happily do it all. 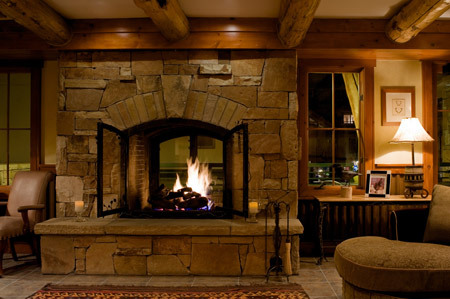 With ski season fast approaching, make your reservation today and be well on your way to an incredible ski resort!